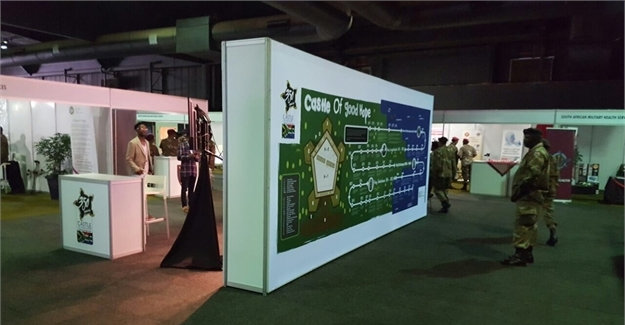 One of the stands at the recent Rand Easter Show gave an easy-to-absorb timeline history of the Castle of Good Hope that generated further coverage from media the youth tap into. Khethi Ngwenya, managing director of SchoolMedia, explains how and why they brought the idea to life. Did you know the Castle of Good Hope, the oldest existing colonial building in South Africa with its foundation stone laid in August 1666 by then-Governor of the Cape colony, Zacharia Wagenaar, was initially intended as a literal defence between the indigenous population who fought to retain their land and freedom and the rival European powers who could attack from the sea? As recent as 1936, the Castle of Good Hope was declared a historical monument, now a national heritage site. More than just a military fortress, its history is best explained through a visual timeline. That’s where SchoolMedia comes in. Ngwenya explains that the company was founded in 2010, and ever since they have made it possible for both government and the private sector to reach the youth market as they create and implement marketing strategies that benefit both the brands and youth environment. It’s all par for the course for this company focused on connecting brands to communities, one school at a time. He adds that it’s the only media company in the country with a captive reach of 6m youth between the ages of 7 to 20 as well as 190,000 adults. Explaining how the project came together with Castle of Good Hope and the Department of Defence, Ngwenya says he put an initial proposal together and on the Castle’s 350th commemoration last year, The Castle of Good Hope gave SchoolMedia the responsibility of informing the youth of South Africa about its history. 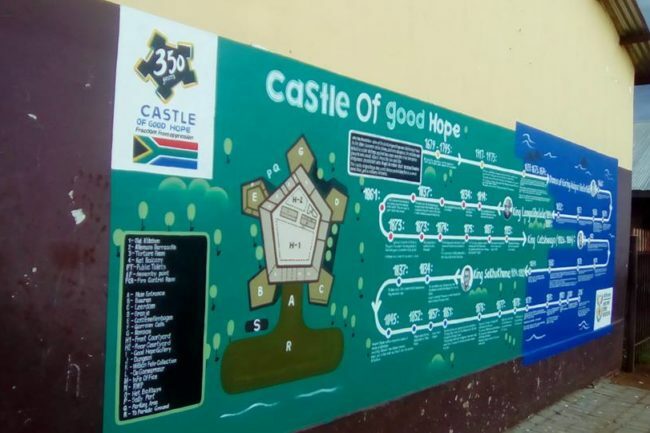 SchoolMedia developed a timeline on the wall to show the different events that took place at the Castle of Good Hope through those 350 years, which makes the learning experience for school kids fun and easy because timelines are creative tools that assist them in tracking and remembering historical events. 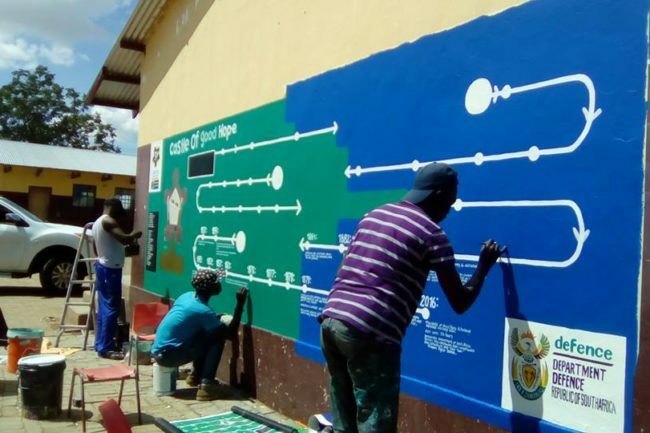 The timeline is now being painted on the walls of different schools across the country. Ngwenya says attendees were impressed as they didn’t know about the Castle of Good Hope and its history so they found the exhibition very informative. So much so, in fact that Ngwenya also discussed it on youth favourites YoTV Live, CliffCentral and Proverb’s KayaFM show. It’s part of a move to ensure young South Africans study the true history of the country while also aiming to heal and reconcile the nation.